Red and gold - those are the colors dominating Tivoli Gardens at the heart of Copenhagen right now. 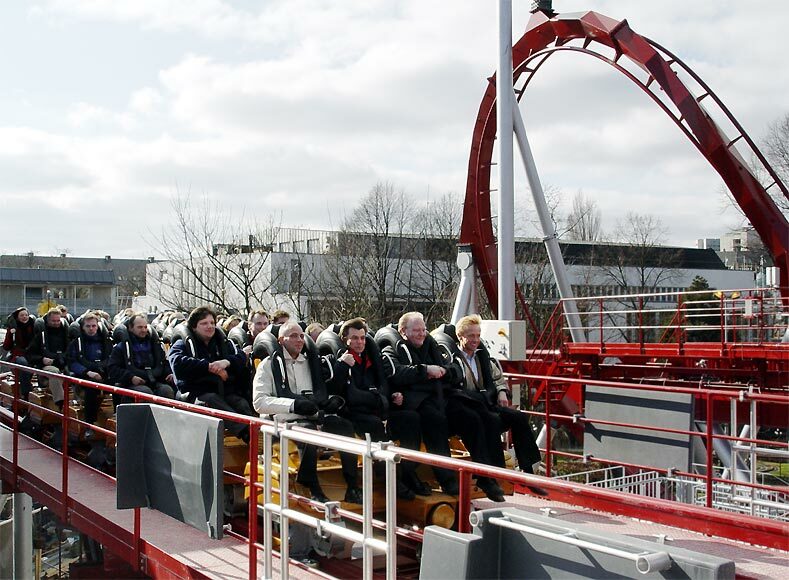 Demon, the "little" B&M floorless looping coaster, celebrated its first ride with passengers at the end of March. Even Prince Hendrik, the husband of the Danish Queen Margarethe, was present and showed deeply impressed by the 28 meters high steel shape spanning along the south-eastern side of the downtown park. Floorles means that there is no barrier between the track and the riders that might obstruct the view on the steel structure. In the front row the passengers positively fly above the track. 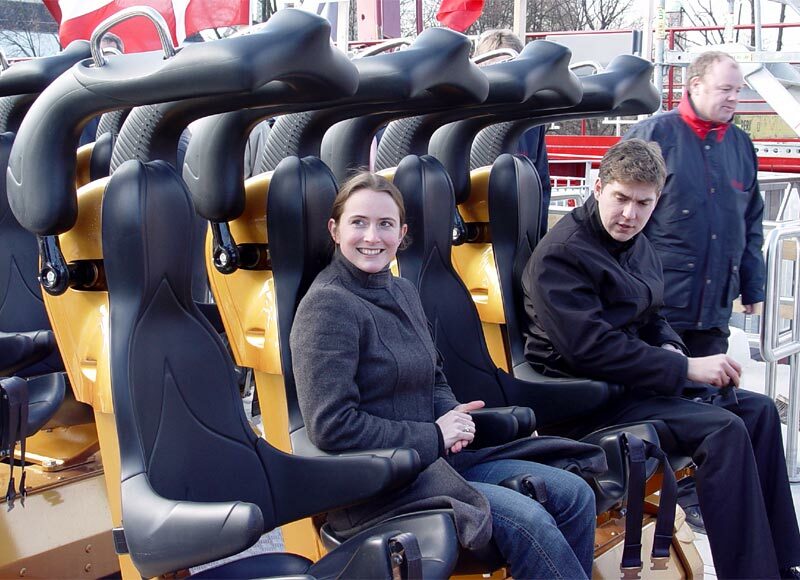 Just like at the well-known inverted coaster the concept of the bottomless seating position intensifies the ride experience regarding to the numerous changes of acceleration. The roller coasters by Swiss consulting engineers Bolliger and Mabillard stand for size and clearly dominate their looping competitors with their massive quadrangular track backbone. So it is even more astonishing to find such a ride in a park with as little room as Tivoli Gardens. 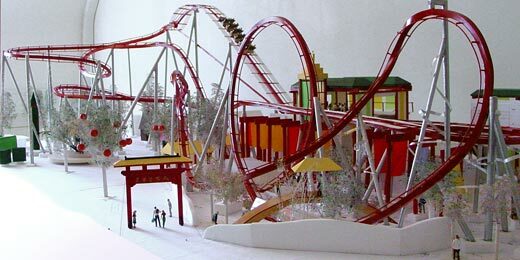 Opposites attract, and thanks to the good planning work of the involved engineers and architects a layout has been found that establishes a new definition of the Chinese area of the park. The track mostly runs above the walking paths and some catering booths. There aren't many roller coasters on earth that interact more with the park visitors than Demon. 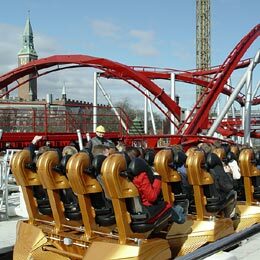 Only a third of Tivoli's attendants use the rides, so the "passive experience" was a big issue on planning the intgration of the coaster. And the visitors who want to actively experience Demon won't be disappointed either. 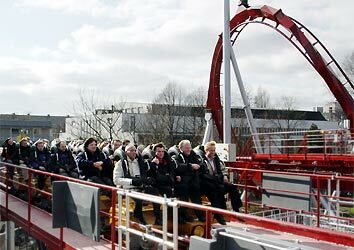 On the one hand this floorless ride is the shortest looping coaster ever built by Bolliger&Mabillard, but on the other hand it isn't mean with varied and strong changes in acceleration and different ride elements. The lift hill is - rather atypically - followed by a drawn-out helix with only a small height difference. The velocity builds up slowly until the following drop pulls the riders down instantly. There is a huge amount of floating airtime especially in the back rows. The initial "observation part" is followed by an almost 20 seconds long high speed trip. A vertical loop, an Immelmann and a zero-G-roll string together straightly. 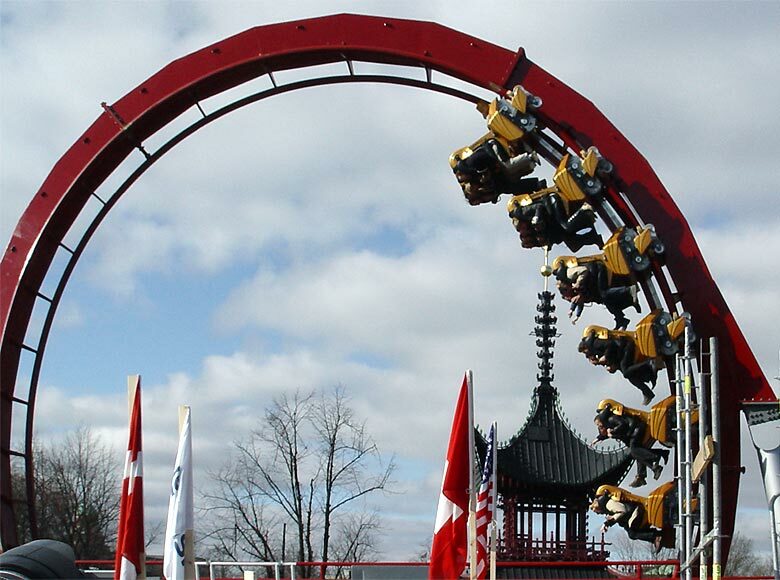 Without any breather the speedy train negotiates the three inversions - faster than on any other B&M coaster. The final high speed helix marks the end of this floorless coaster trip. 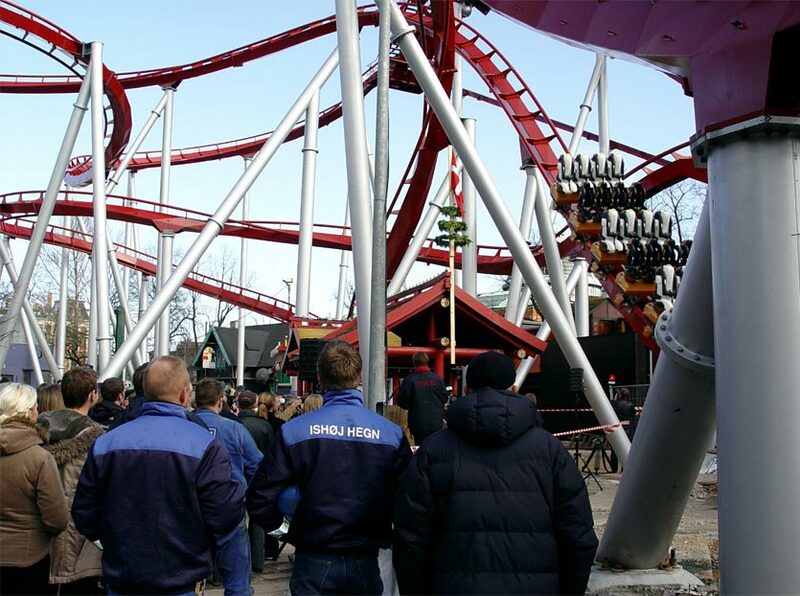 Those responsible at Tivoli even have a solution for the shortness of Demon: "We expect the queuing time to be a maximum of 15 minutes even in high season due to the high capacity of the coaster", explains Tivoli's roller coaster expert Andreas Veilstrup Andersen. Till then the construction of the surrounding will be completely finished and the Chinese area will shine out in all its splendour. The opening of Demon is scheduled for the 16th of April. We will report on this looping coaster shortly in a detailed feature.